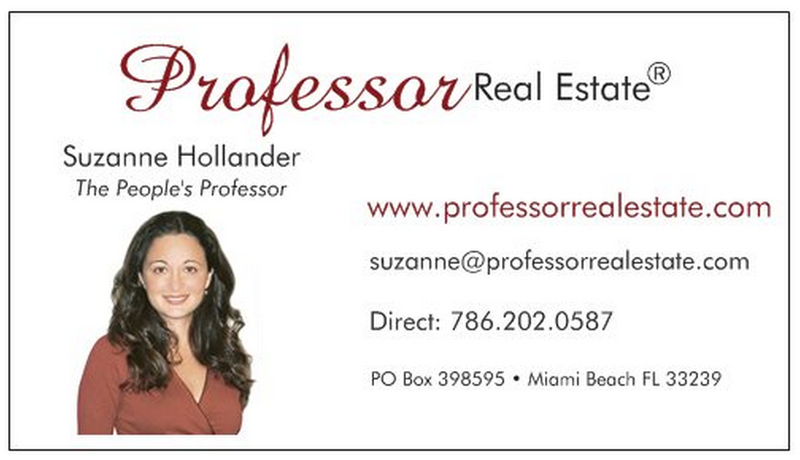 Some say “Don’t Walk on Thin Ice,” Professor Real Estate®Suzanne Hollander says, “Walk on Thick Ice,” a solid foundation, for your next real estate deal! Walking on thin ice is dangerous because you don’t take 3 steps – (1) prepare, (2) look under the surface & (3) have an exit strategy if you slip or fall. 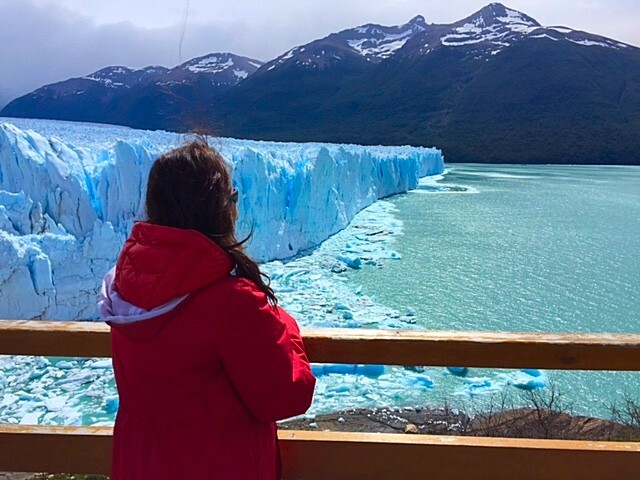 To walk on “THICK ICE,” a solid foundation, take the 3 steps, Suzanne Hollander,Professor Real Estate® took when she hiked the thick ice of this Glacier in Patagonia, Argentina. Step 1 – Suzanne prepared. 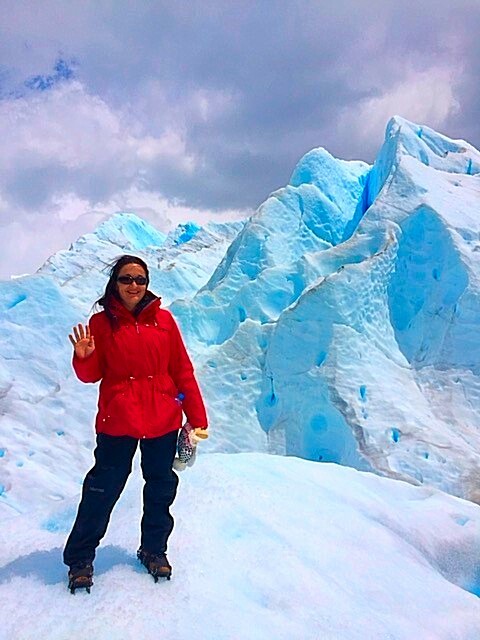 She’s wearing crampons (special shoes to hike ice) and 3 layers of clothes. (Brrrr! she’s from Miami!). Step 3 – Suzanne had an Exit Strategy ready if she Slipped or Fell. When she slipped, she used it to get up and keep going! Suzanne recommends you take these 3 steps to walk on THICK ICE for your next real estate deal, whether it’s your 1st purchase of a home or condo, your 100th purchase of a commercial property or investment with friends. Your Step 1 – Prepare – Get to know the property and your business partners. Your Step 2 – Look Under the Surface – Dig into the numbers, does the purchase price make sense? Can you afford your monthly mortgage payments? If it’s a rental property, can you raise the rents or are you locked into long term leases? Your Step 3 – Have an Exit Strategy – If you need to, can you sell tomorrow? At what price? Could you reposition the property to add value? Remember, taking these 3 steps will help you make sure you are walk on “THICK ICE,” a solid foundation, for your next real estate deal! « In BizNews! Suzanne Hollander Leads Downtown Miami River Real Estate Boat Tour!